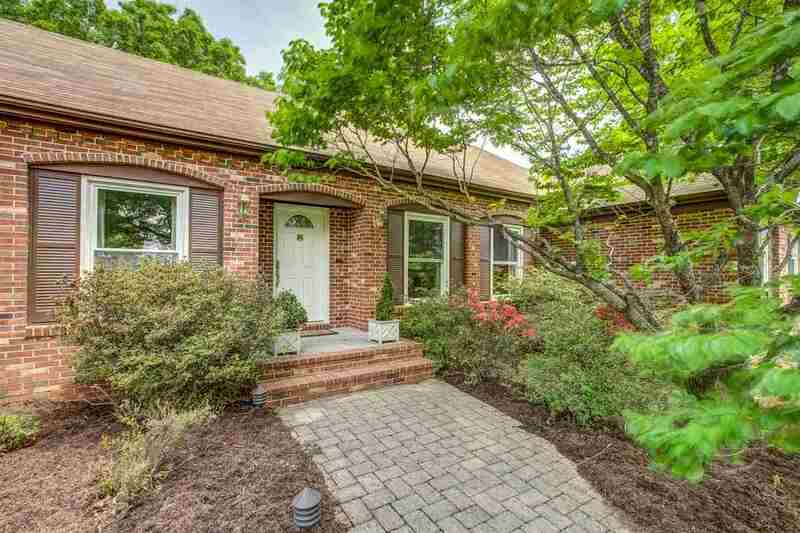 Roy Wheeler Realty Co. MLS# 586289 - 2790 Milton Hills Dr, Charlottesville, VA 22902 - Roy Wheeler Realty Co.
DON’T MISS THIS updated all brick home on over 5 acres boasting panoramic views surrounded by mature trees & vibrant perennials. New roof! Fresh paint. Well appointed chef’s eat-in kitchen w/ gorgeous granite counters, cherry cabs & walk-in pantry. Step in from a 3-car garage to the large mud room. Rich teak floors stretch throughout the family room w/ gas log FP which opens to an elevated deck. Dining room with French doors opens to a fabulous sun room with a wall of windows. Main level owners suite. Totally remodeled walkout terrace level offers plenty of room for entertainment, bedroom, new full bath, handsome wet bar and loads of storage. Enjoy tranquil sunsets on your deck or patio. Landscape lighting. Generator. 20×12 shed. Directions: 250 East to Right onto North Milton Rd/Rte 729 crossing over the Rivanna River. Left onto Milton Rd/Rte 729. Right on Milton Hills Rd into Milton Hills. First house on right on the hill.